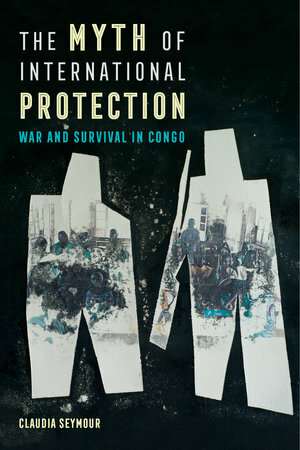 In this viscerally intense, ethnographically based work, Claudia Seymour relates the heart-wrenching stories of young people in the Democratic Republic of Congo—young people who live on the front lines of conflict, in neighborhoods and villages destroyed by war, and on the streets in conditions of poverty and destitution. Seymour, a former child protection adviser and human rights investigator for the United Nations, chronicles her personal journey, which begins with the will to do good yet ends with the realization of how international aid can contribute to greater harm than good. The idea of protection and universalized human rights is turned on its head as Seymour uncovers the complicities and hypocrisies of the aid world. In the promotion of “inalienable human rights,” aid organizations ignore the complex historical and socioeconomic dynamics that lead to the violations of such rights. Offering a new perspective, The Myth of International Protection reframes how the world sees the DRC and urges global audiences to consider their own roles in fueling the DRC’s seemingly endless violence. Claudia Seymour is Research Associate with the Centre on Conflict, Development, and Peacebuilding at the Graduate Institute of International and Development Studies in Geneva and the Department of Development Studies at the School of Oriental and African Studies, University of London.